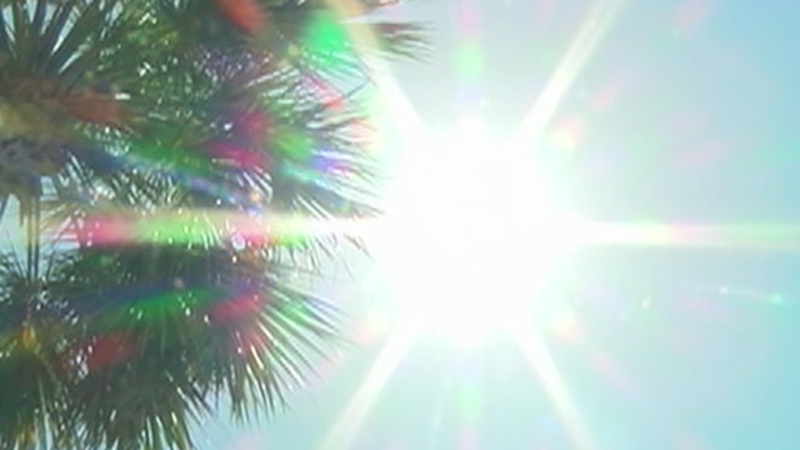 The topic of climate change is coming up in the offices of doctors in South Florida, as a group of physicians says it is already seeing the effects of climate change on people's health. “I try to impress on people, yes, you have these underlying diseases, but climate change is making it worse and this is how and we have the science to back it up," said Dr. Ankush Bansal, an internal medicine doctor who works as a hospitalist at Martin Health System. Dr. Bansal is part of Florida Clinicians for Climate Action, which formed in January 2018 to educate patients and other medical professionals about the health effects of climate change, while also advocating for solutions. “I think there’s less knowledge about how it’s affecting their health, their family’s health and their community’s health," Dr. Bansal said. Dr. Bansal said warmer, wetter weather from climate change can exacerbate a variety of existing health conditions. "On days that are hotter than other days, I see more patients coming in for things like lung disease, such as COPD or asthma, heart disease such as chest pain, heart failure, kidney disease and dehydration," he said. "This is all in the same month, but on those days that are hotter, I’m seeing more of those patients come in." The National Weather Service found the past four years on average have been the warmest years on record from Martin County through Miami-Dade County since 1900. The Center for Climate Change and Health said higher temperatures and more rain will also fuel other health concerns, such as toxic blue-green algae and insect-borne diseases. Stronger hurricanes are another issue for human health, safety and mental well being. “Things will get worse unless we do something about it," Dr. Bansal said. Damara Cohn, the owner of Mangrove Realty in downtown Delray Beach and a mom to three children, said her family takes Zyrtec nightly to deal with their outdoor allergies. “It’s constant runny nose, coughing, exhaustion, completely uncomfortable all the time," she said. Her youngest son, Samuel, has asthma and uses a Nebulizer every four hours when he has flare-ups. "Asthma is super scary because there’s no way to deal with it because every attack is different and it progresses rapidly," Cohn said. The Center for Climate Change and Health said asthma attacks can be triggered by worsening air pollution. That can affect allergies as well because pollution and warmer weather causes plants to produce more pollen. "We want a clean Florida. We want clean water. We want clean air," Cohn said. Florida Clinicians for Climate Action will be at the Empowering Capable Climate Communicators Symposium on April 26 at Florida International University at the Wolfe Center. Doctors will be doing presentations from 1 p.m. to 4 p.m. about public health.